Step 1: Are You Using Upgraded Notes? It is possible that you are unable to see the “Recently Deleted” folder because you are not using the Upgraded version of Notes. The upgraded version allows you to view your Notes on all devices that are using the same Apple ID. 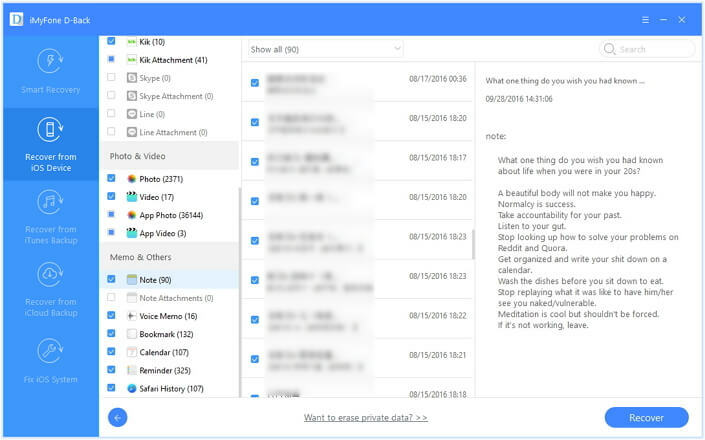 Also, if you delete these notes, you will be able to see the deleted notes and recover them in the “Recently Deleted.” These deleted notes are kept in this folder for 30 days, after which they are permanently deleted. If on the other hand, you are not using the upgraded version of Notes, your Notes will not be synced with iCloud and are therefore not accessible on other devices using the same Apple ID. 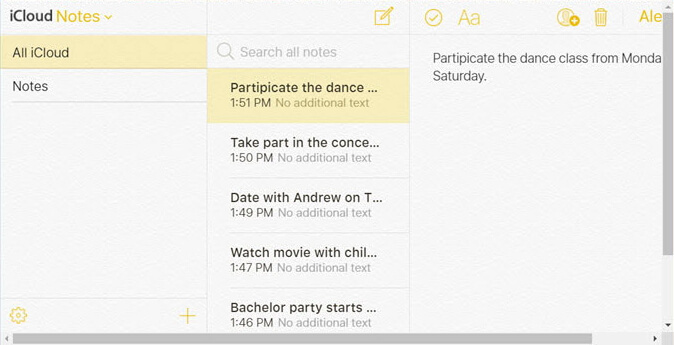 When you delete these notes, they will be completely gone from your device and you will not be able to recover them. If you are using Upgraded notes, you will have the option of using paragraph styles, view attachments, organize the notes and even lock the notes. You will also have the “Recently Deleted” folder which allows you to easily gain access to the Notes you have accidentally lost. With upgraded Notes, you should also be able to see a checklist and a format button in the toolbar, both of which allow you to customize your Notes easily. The “Recently Deleted” folder is not available if you are not using upgraded notes. If you are using upgraded Notes, you will see them on all devices with iOS 9 or later that use the same iCloud account. If the notes you have lost were shared with you, deleting them will only remove them from your lists. They are still available on owner’s lists and if you want to get them back on your device, you can simply ask the person to share the note with you again. It is also important to note that if you delete notes that someone has shared with you, they will not move to your “Recently Deleted” folder and so cannot be recovered in that way. Instead, you can simply click on the original link, the owner shared to edit the note or ask them to share it again. If you have checked all of the above and you are still unable to locate your deleted Notes, it may be a good idea to consider using data recovery software to get them back. One of the best data recovery programs that you can use is iMyFone D-Back. It can be useful in the recovery of data even if you don’t have a backup and can recover the deleted notes very easily in a few simple steps. You can also recover notes from your iTunes or iCloud backup files without restoring your device. Before you start, download and install D-Back onto your computer. If you don’t have a backup of the Notes, follow these simple steps to recover them. Step 3: from the results displayed in the next window, select the missing Notes and then click “Recover” to save them to your computer. If you have a backup of the Notes in iTunes, here’s how to extract them. Step 1: From the main window, select “Recover from iTunes Backup” and then click “Start” to begin. In the next window, select “Note” as the type of data to recover and then click “Next” to continue. Step 3: Once the scan is complete, select the missing Notes from the next page and then click “Recover” to save them to your computer. If you need to extract the missing Notes from an iCloud backup, follow these simple steps. Step 2: Next, you will need to sign in to your iCloud account before selecting a backup file. Click “Next” to proceed. Step 3: The program will analyze the selected backup file and display all Notes on it in the next page. Select the ones you want to recover and then click “Recover” to save them to your computer. If you are still unable to see your “Recently Deleted” folder and can’t access your Notes on any of your devices, the problem may be server related. In this case, you may need direct support from Apple. Apple recommends that you, first of all, contact your carrier to see if it is a network problem on their end. If it is not, the next step is to find a local Apple Authorized Service Provider and bring your device in to be checked and repaired where necessary.